This past March in Las Vegas, I slipped between thousands of business suits and briefcases, the swaying badges of the HIMSS conference draped around the many craning necks, and found my seat for the event’s first keynote speech: a presentation by Seema Verma, the Administrator for the Centers for Medicare & Medicaid Services, colloquially known as CMS. She was there to introduce the government’s new Blue Button 2.0 program, which gives all Medicare patients the ability to manage their Medicare data. These were welcome words, but exactly how was the government going to put them into action? It’s one thing to talk about making personal health data available for patients, but actually doing something about it is hard. What does the current administration have in mind? The previous administration, for example, had already made approximately $37 billion available to health care providers as part of the American Economic Recovery and Reinvestment Act of 2009, meant to subsidize the adoption of digital electronic health records with the goal of making data sharing easier. As we know well here at Ciitizen, that money has not resulted in patients being able to electronically access their complete health history. But Vice President Joe Biden, using his oversight of the Veterans Affairs Department, took administrative action and helped make complete medical records available to all patients of the VA. No stranger to the needs of cancer patients, he also spearheaded the White House Cancer Moonshot to not only fund the development of new therapies, but also a digital data network within the VA that could facilitate the sharing of millions of records. Joe Biden has extensive experience getting things done for patients, particularly those with cancer who need immediate access to their health data to coordinate their care. That’s exactly why we wanted to partner with the Biden Initiative and host a community summit on September 21st, here at the Ciitizen office in Redwood City. 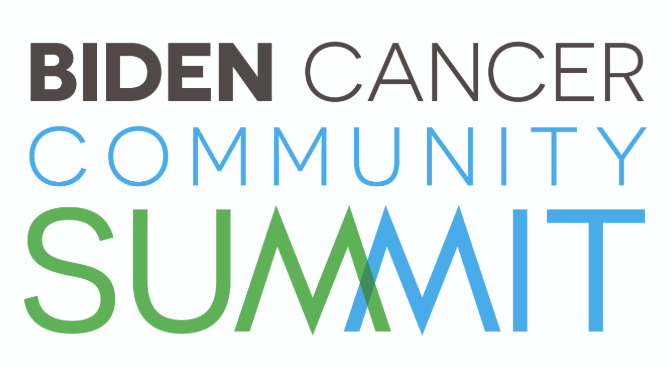 Via a network of regional panels, tomorrow’s national agenda will focus on the cancer patient’s journey, from prevention to diagnosis and from treatment through survivorship, to determine what we all must to do accelerate progress. Biden’s principles mirror those of Ciitizen quite closely. “Patients should not be made to jump through hoops to access and share their own data, the data should automatically be shared with patients and seamlessly move with patients, and be in the hands of their care team in real-time,” Biden wrote in Fortune this past March, commenting on Verma’s message. It’s exactly this challenge we’re currently tackling here at Ciitizen and will be speaking about tomorrow during our Biden Initiative event in conjunction with our friends from RobinCare. Giving cancer patients ownership of their health data not only helps them coordinate their care, but also their life beyond treatment. Complications from chemotherapy and radiation can manifest themselves many years down the road, and without a complete health history to guide future doctors and caregivers, cancer patients may not receive the right care. Not only should patients control their data, they shouldn’t be forced to carry paper records around in big envelopes or binders. It should be in a single digital format that can be easily shared with whomever they want. Our goal at Ciitizen is to provide patients with exactly that. Like I mentioned before, doing something about the status quo is difficult. But like Biden before us, we’re committed to taking action.